Jeff “Siege” Siegel Announces Fall Tour With The Jeff “Siege” Siegel Sextet and Special Guest Feya Faku in New York, New Jersey and Pennsylvania! Renowned drummer Jeff “Siege” Siegel is proud to announce a multi-city October itinerary with his esteemed sextet, which features tenor saxophonist Erica Lindsay, pianist Francesca Tanksley, bassist Rich Syracuse and percussionist Fred Berryhill. This melting pot of talented jazz musicians also includes special guest master trumpeter Feya Faku, of Johannesburg, South Africa. This line-up will kick things off at The Deer Head Inn, located at 5 Main St, Delaware Water Gap, PA on Friday October 13th at 7pm ($10 tickets available at deerheadinn.com), followed by an appearance at Trumpets, located at 6 Depot Square, Montclair, NJ on Sunday October 15th at 7:30pm & 9:00pm. Tickets are available www.trumpetsjazz.com. On Tuesday, October 17th the ensemble will then begin their run of New York shows at SUNY New Paltz, Studley Hall, located at 1 Hawk Dr, New Paltz, NY at 8pm (tickets $8/$6/$3 at door). On Wednesday October 18th, Zinc Bar, located at 82 W 3rd St, New York will stage the official New York City release concert for Siegel’s “King of Xhosa” at 7:00pm (tickets at door). On Thursday, October 19th, Siegel will bring his vibrant and dynamic set to Bard College, Blum Hall in Avery Arts Center, located at Blithewood Avenue, Annandale-On-Hudson, NY at 8pm. This will be a free admission show. On Friday, October 20th at 7:30pm, the group will perform their penultimate gig in The Great Hall at the Unitarian Universalist Society of Schenectady, located at 1221 Wendell Ave, Schenectady, NY, as part of “A Place for Jazz” concert series. Tickets are available at www.aplaceforjazz.com. Finally, Siegel will bring his tour to a close at The Falcon, located at 1348 US-9W, Marlboro, NY, on Sunday October 22nd at 8pm. Reservations can be made at www.liveatthefalcon.com ($20 suggested donation). 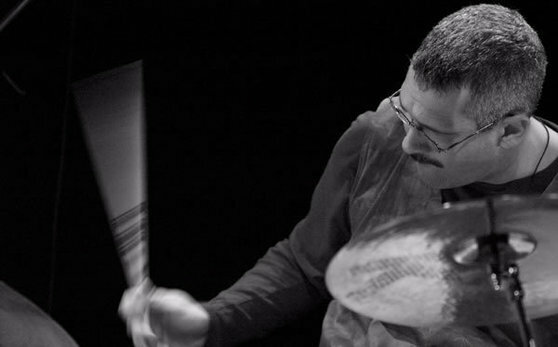 As an educator, Siegel is a faculty member at The New School for Jazz and Contemporary Music, Western Connecticut State University, and The State University of New York at New Paltz .He holds a Masters Degree in Jazz from Queens College where he studied composition with Jimmy Heath. He has been the recipient of several grants from Meet the Composer and endorses Vic Firth Drum sticks. Please be on the lookout for Siegel’s upcoming new cd release with his quartet, “London Live” (ARC Records).